"The storms that moved our country today, in Roosdaal a fatal victim. A 64-year-old man had killed when a massive gate four to five meters high fell on him. The man died on the spot. Elsewhere there was a lot of damage and to note there were also two wounded. 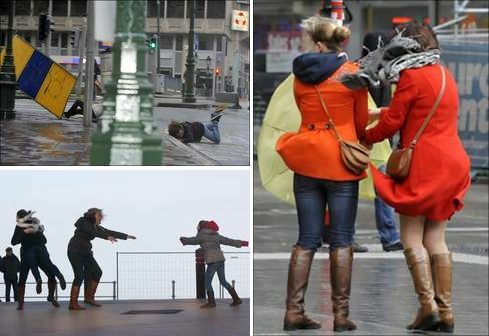 The strongest gust of wind blew over our country at 122 km per hour was measured in Ernage (Gembloux), in the province of Namur." Forecast for 6 January: The winds would remain limited to 40 to 50 kilometers per hour and there are some local showers, but in many places it is often dry.